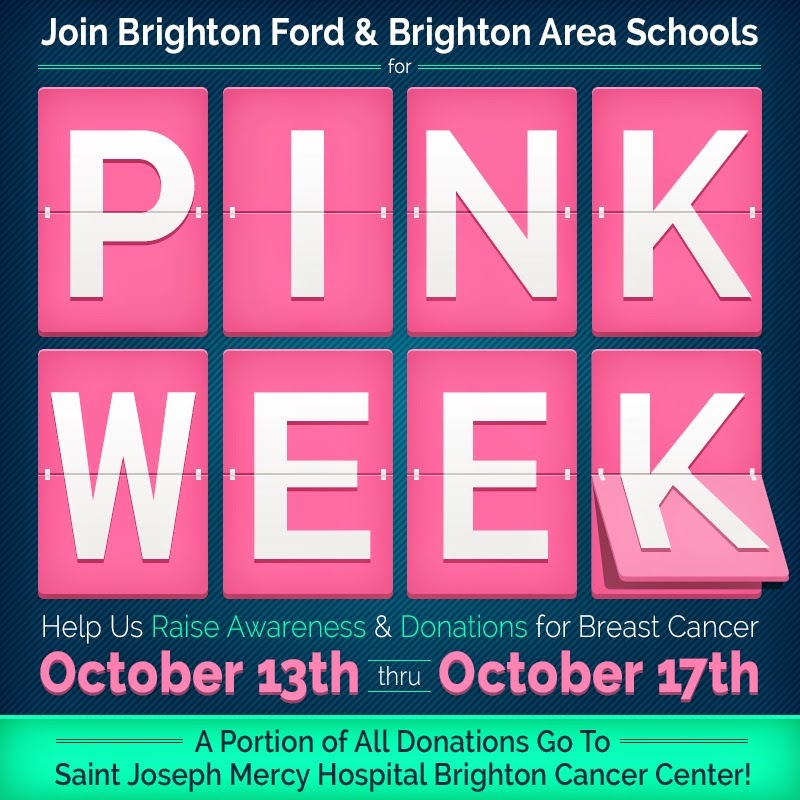 Brighton Ford : Join Brighton Ford & Brighton Area Schools on October 13th thru October 17th for PINK WEEK! Join Brighton Ford & Brighton Area Schools on October 13th thru October 17th for PINK WEEK! BRIGHTON, Mich - Beginning next Monday, October 13th, Brighton Ford and Brighton Area Schools are going to be thinking PINK! Join us & Brighton Area Schools on October 13th thru October 17th for PINK WEEK! During Pink Week, we will be helping Brighton Area Schools to raise awareness and donations for Breast Cancer Research. A portion of all of the donations will also be going to Saint Joseph Mercy Hospital Brighton Cancer Center! POWDER PUFF FOOTBALL @ 7 p.m. Coins for Cancer winners announced!